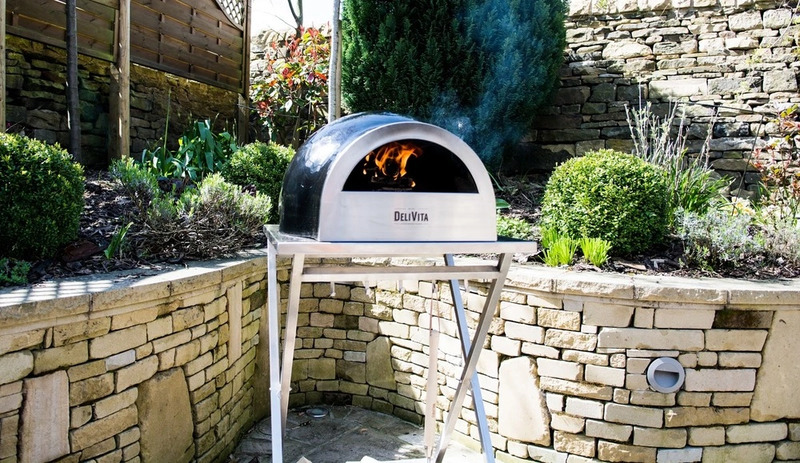 Your garden will be the stage for all those lazy Sunday soirees, impromptu bbq’s and, let’s face it, just about any occasion that calls you to fire up the DeliVita woodfired oven. But first, there’s a few bits and pieces to take care of to ensure we’re getting the best from our garden spaces and creating the right environment for the coming Spring and Summer. And to lend a (virtual) helping hand, we’ve put together a quick check list as a useful reminder. Winter can take its toll on the garden and although tidying up can be a pain, you’ll be relieved once it’s all done. When Spring cleaning your garden remember to collect dead leaves, stalks and plants. It’s important that this dead foliage is cleared away as they can hold diseases and bacteria which could infect your new plants and get your growing season off to a bad start. The start of Spring is the perfect time to feed and rake your lawn. Removing all debris and dead grass cuttings will ensure that the grass can breathe and grow. You can also give your lawn a bit of a face lift by levelling off any uneven areas and adding new grass seed. Most plants will also need a little TLC after the winter. This might involve re-potting, moving to a different area in the garden or trimming and pruning. This is also a good time to remove any weeds that have been growing in your garden over the Winter. For bigger weeds, you might need to use weedkiller but you can probably remove most of them by hand. Don’t forget to check labels to make sure any pets or wildlife are kept out of harm’s way. We love a good seasonal kitchen garden! If you’re into growing your own (like we are) now is the time to order in your seeds and bulbs. If you own a greenhouse or even just a wide windowsill, you can start arranging your containers for cultivating. And, to keep it environmentally friendly, you might make your own containers from newspapers, card pots or old egg boxes. Whatever your garden furniture is made from, it’s going to require some attention after being exposed to the cold or having been stored away over the winter. Plastic is easy to care for and can be cleaned with warm soapy water and a sponge. Timber will probably require a bit more effort, but a quick spruce up and an application of an appropriate wood oil to seal and protect it should have it looking as good as new. Now, here’s the real fun part: Remember how you chose your DeliVita oven for its effortless style as well as its uncompromising fabulous performance? So don’t be shy about putting it centre stage! Ok, it’s going to make friends and family green with envy, but, you know, that’s a small price to pay for the ultimate in wood-fired ovens that’s also portable, lightweight and perfect for roasting, grilling or even smoking! Plus, the chances are your friends are going to want one for their own garden! In fact why not forward them this link https://www.delivita.co.uk/collections/ovens and before you know it, it could be you they’re inviting around for a delicious wood-fired feast! You’ve still got to tackle that garden, though…!